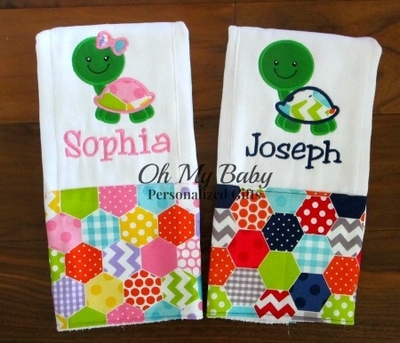 Super cute personalized burp cloths featuring boy or girl turtle applique design. Girl turtle feature bow. Personalized turtle burp cloth has fabric trim bottom and matching turtle shells. Makes adorable baby gift for both boys and girls.